Ring ring! 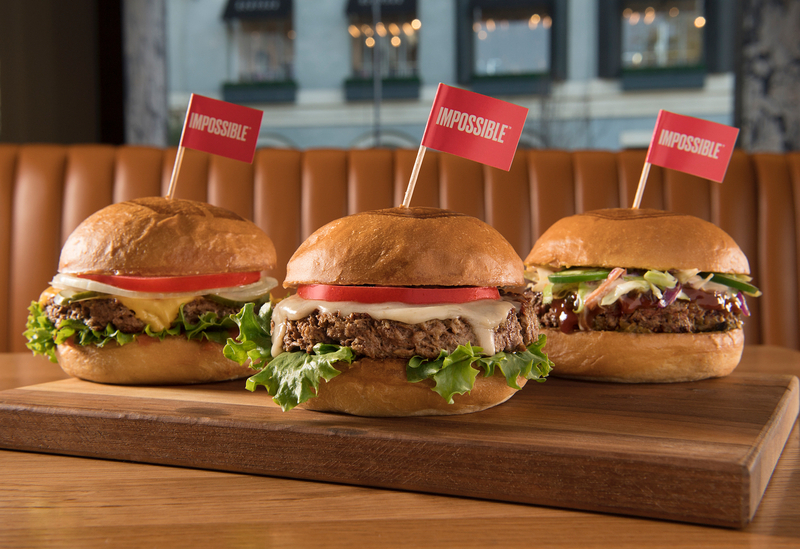 Your tastebuds are calling and they want you to sink your teeth into the three new Impossible Burgers at Umami Burger. The flavors of all three burgers are big, but the environmental impact of the Impossible Burger is incredibly small compared to burgers of the ground beef variety. Impossible Classic: Impossible Burger with Umami house sauce, American cheese, curly lettuce, onion and fresh tomato served on a vegan bun. Impossible Vegan BBQ: Impossible Burger with espresso rub, smoky sweet BBQ sauce, coleslaw and thinly sliced jalapeño served on a vegan bun. Impossible Vegan Truffle: Impossible Burger with truffle fondue, truffle aioli, port wine & truffle glaze, curly lettuce and fresh tomato served on a vegan bun. Yeah, we know. Our mouths are watering too. But you might be wondering: what exactly is an Impossible Burger? In 2011, Stanford University biochemistry professor emeritus Patrick Brown developed a burger that is completely beef-free, uses 74% less water and 95% less land, and creates 87% less greenhouse gas emissions. Instead of beef, the Impossible Foods Impossible Burger is created from wheat, coconut oil, potatoes, and an ingredient called heme. Heme is what makes beef sizzle, bleed, and smell so irresistible when cooked, but heme is also found in plant products, and it’s what makes the Impossible Burger so damn delicious. Impossible Foods’ goal is to remove animals from the global food system by 2035. 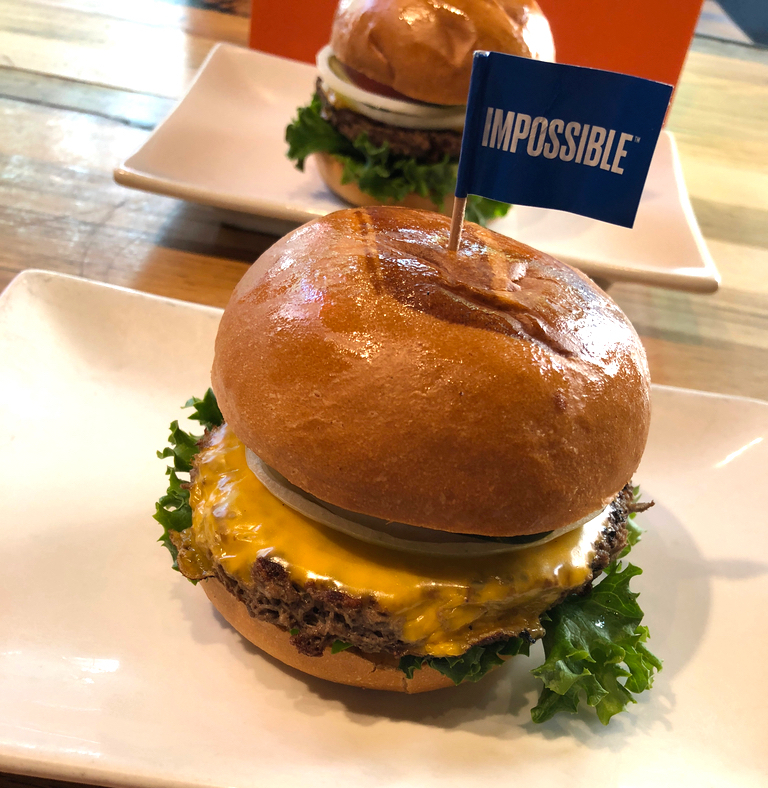 And if the Impossible Burger continues to taste this good, we think this goal is definitely attainable. Meat-lovers and vegans alike will go ham (pun intended) over these new burgers at Umami. 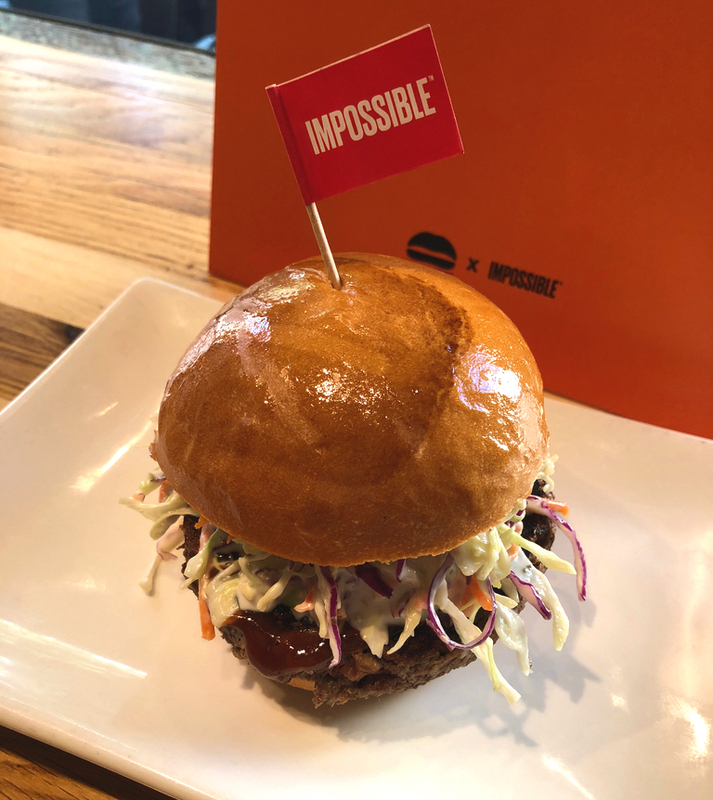 Get to your local Umami Burger now to try out one of the new Impossible Burgers for yourself. We guarantee you’ll have a new favorite meal by the time you’re finished — plus, your conscious can rest easy.